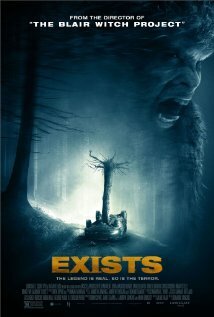 Exists [From IMDB]: A group of friends who venture into the remote Texas woods for a party weekend find themselves stalked by Bigfoot. The Jungle: Ben and his conservation brother, Larry, travel to the Indonesian jungle in search of the endangered Javan leopard. Having dismissed the locals’ warnings of demons living in the jungle, the brothers soon find themselves being stalked by an unknown predator. The Jungle takes the win simply by not being another ‘a group of teens go into the woods’ movie. 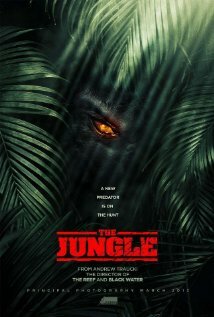 While both movies have their flaws, the use of the found footage format for The Jungle than it does for Exists. In fact, I think that Exists had the potential to be a fundamentally better movie if it had just employed more traditional camera techniques, rather than relying on overly shaky handheld cameras being held by the cast. Neither movie really has any scares, Exists has the most potential – but, again, the format just kills it. This is where Exists really pulled ahead of the competition, by not only abandoning the ‘flashes of something in the trees’ format relatively early on in the piece, but for having a creature whose design and construction held up extremely well even in relatively static close motion, in daylight hours. As for The Jungle? Uh, yeah. There’s a lot of build up for a whole lot of nothin’. Surprisingly, given I didn’t have all that much for its basic premise, Exists comes out on top yet again. Whereas The Jungle remained true to the formula of the genre, Exists got more interesting as it progressed, with the teens in the scary woods format giving way to a much more emotionally invested – and rewarding – resolution than I would have expected. That the filmmakers decided to go this route rather than just churning out another formulaic found footage flick – like The Jungle – should be praised. Aaaaaand, it’s largely due to the points I raise about the ‘big bad’ reveal and the resolution that mean that, despite the fact that I strongly believe the found footage format was the wrong way to approach this movie, Exists is the winner. Whereas The Jungle was bland in its formulaic reiteration of everything you’d expect from a found footage film, Exists actually tried to do something different, and succeeded. I’ll pay that, even at the same time as I can’t help but imagine how much better it could have been.